Donald Trump&apos;s personal attorney, Marc Kasowitz, delivers a statement to the press in Washington, D.C., on June 8th, 2017. The ongoing investigations into alleged collusion between the Trump campaign and Russia involve reams of classified material. Yet Marc Kasowitz, the New York lawyer whom President Donald Trump has hired to defend him in these inquiries, told ProPublica through a spokesman that he does not have a security clearance—the prerequisite for access to government secrets. Nor does he expect to seek one. "No question in my mind—in order to represent President Trump in this matter you would have to get a very high level of clearance because of the allegations involving Russia," said Robert Bennett, who served as President Bill Clinton&apos;s personal lawyer. Like many Washington lawyers, Bennett has held security clearances throughout his career. As the spotlight on Russia intensifies with new email disclosures that his son, son-in-law, and then-campaign manager met in June of 2016 with a Russian attorney who promised damaging information about Hillary Clinton, Kasowitz&apos;s lack of a security clearance could hinder the president&apos;s legal and political response to the scandal. One possible explanation for Kasowitz&apos;s decision not to pursue a clearance: He might have trouble getting one. In recent weeks, ProPublica spoke with more than two dozen current and former employees of Kasowitz&apos;s firm, Kasowitz Benson Torres LLP, as well as his friends and acquaintances. Past and present employees of the firm said in interviews that Kasowitz has struggled intermittently with alcohol abuse, leading to a stint in rehab in the winter of 2014–15. Experts on federal security reviews told ProPublica that recent episodes of alcohol abuse are a major barrier to receiving clearance, a process that involves government agents poring over a person&apos;s past and interviewing family, friends, and colleagues. Investigators typically raise flags about behaviors that might make someone vulnerable to blackmail or suggest poor judgment. Kasowitz&apos;s spokesman said he doesn&apos;t need a clearance. "No one has suggested he requires a security clearance, there has been no need for a security clearance, and we do not anticipate a need for a security clearance," the spokesman said. "If and when a security clearance is needed, Mr. Kasowitz will apply for one with the other members of the legal team." Kasowitz&apos;s spokesman did not directly respond to questions about whether he has struggled with alcohol abuse, but said the attorney is able to drink in moderation without a problem. While not a government employee, Kasowitz has become a public face of the administration on the Russia case. Last month, he went before the cameras to deliver the president&apos;s response to the landmark testimony of fired Federal Bureau of Investigation Director James Comey. White House officials have regularly referred media inquiries about Russia-related matters, including queries about Jared Kushner and Michael Flynn, to Kasowitz. In Washington, where every word and action of the president&apos;s lawyer is scrutinized, Kasowitz is a neophyte. Instead of negotiating deals among the capital&apos;s power brokers or fending off FBI investigations, Kasowitz, 65, built a lucrative practice in civil court suing banks and representing, among others, a leading tobacco company. Kasowitz has been described by colleagues in the scrappy world of New York lawyers as the "toughest of the tough guys." Bloomberg News called him a "Pit Bull Loyal to the Boss" while the New York Times described him as "the Donald Trump of lawyering." His aggressive legal style has spurred rebukes from two judges. For over 15 years, he represented Trump, earning the president&apos;s loyalty through his eager pugilism. Kasowitz has defended him in the Trump University fraud lawsuit. He fought to keep records from Trump&apos;s 1990 divorce private, and threatened to sue the New York Times for publishing a story in which women accused Trump of unwanted touching and sexual assault. He also recently represented Fox News&apos; Bill O’Reilly after multiple women accused O&apos;Reilly of sexual harassment. Trump reportedly sought a classic Washington lawyer to represent him on Russia before choosing Kasowitz. Initially Kasowitz was reluctant to take it on. "He didn&apos;t seek this," said Joseph Lieberman, the former senator and Democratic vice presidential candidate who is now senior counsel at the firm. "In the end, the president said: &apos;I need you. I know you and trust you.&apos;"
Lieberman and Kasowitz grew up in the same neighborhood in New Haven, Connecticut. The future senator used to see Kasowitz&apos;s father, who ran a scrap-metal business, walking through the neighborhood, greeting everyone as he went. Kasowitz went to Yale University to study American history and then to Cornell Law School. After graduating in 1977, he started his law career in New York. In 1993, Kasowitz broke off from the prominent firm Mayer Brown to found his own firm. As the firm met with early success, Kasowitz became wealthy. He brags to friends he makes anywhere from $10 million to $30 million per year. He owns an apartment in a white-glove building on Park Avenue and a mansion in Westchester County. He travels by private jet and, when in New York, is driven around in a black Cadillac SUV. He owns at least two horses, according to a lawsuit Kasowitz once filed against his daughter&apos;s equestrian stable. "It&apos;s like a time warp," said one former employee, citing the firm&apos;s "macho, scotch-drinking, fist-fighting" ethos. Multiple former attorneys said they saw Kasowitz under the influence at the office, an accusation Kasowitz denies. Associates would vie to join powerful partners in Kasowitz&apos;s inner circle during the day at the Palm West Side, the steakhouse just across the street from the firm&apos;s offices, and, more recently, at another midtown steakhouse a couple of blocks away called Gallaghers. A framed magazine profile of Kasowitz hangs on the wall across from the bar at the Palm. 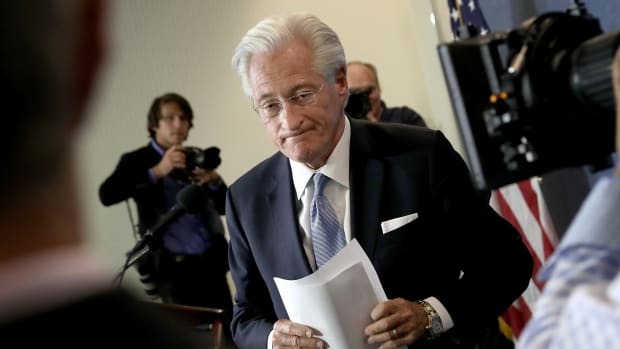 Three former employees at the firm recall attorneys having to go across the street to the restaurant during the workday to consult Kasowitz on work matters, as he held court, drinking and eating. In response to questions, a spokesman for Kasowitz disputed that, saying he never had a drink during the day at the Palm outside of lunch and dinner and never handled firm business while at the restaurant. Former employees pointed to reckless behavior by Kasowitz while drinking. ProPublica spoke with 10 people who attended the firm&apos;s holiday party on December 10th, 2013, at the Edison Ballroom in Manhattan. Spouses and significant others were not invited. Kasowitz, according to an attendee, was visibly inebriated, appearing to have a hard time standing on his feet without support. During the festivities, Kasowitz and a much younger woman not employed by the firm hit the dance floor. According to multiple eyewitnesses, they danced intimately in a way many employees felt was inappropriate for a work event. One person described it as "dirty dancing." Some employees had seen Kasowitz&apos;s dancing partner before: the then-25-year-old woman had been a hostess at the Palm. "It made women feel uncomfortable," said one former female attorney who attended the party. Kasowitz&apos;s spokesman, Michael Sitrick, initially said Kasowitz "does not recall whether he danced with her at a holiday party over 3.5 years ago." Later, he said that the descriptions of Kasowitz dancing at the party were "untrue." Kasowitz said in a statement he never had "a romantic relationship" with the woman, "who many of us came to know (as we have many others) because she worked at the Palm Restaurant across the street from our offices." 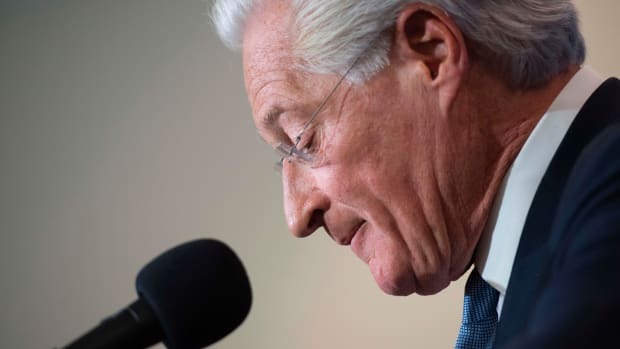 Sitrick supplied eight statements from Kasowitz employees attesting to his character and behavior at the party and denying the allegations about the young woman. He said ProPublica could not quote the employees&apos; statements by name without their permission. ProPublica reached out to all of them. Two declined to be named, and six did not respond to requests to use their names. That was not the only dramatic incident involving Kasowitz and the Palm hostess. Late one Thursday night in March of 2013, the same woman was arrested for felony assault at Beauty & Essex, a lower Manhattan restaurant and club, after allegedly throwing a bottle that hit another woman in the head, according to New York Police Department records. A former partner in the law firm said that Kasowitz was with her and sustained an injury. Afterwards, Kasowitz walked around the office with two black eyes looking "like a raccoon," according to the former partner. Asked about that incident, Sitrick did not answer directly. He said Kasowitz attended a dinner at a restaurant where the woman was in attendance. As Kasowitz was leaving the restaurant, he was "assaulted by a total stranger," Sitrick wrote in a statement. The Palm hostess was not involved in that assault and Kasowitz&apos;s assailant was arrested, the spokesman said. According to current and former attorneys at the firm, Kasowitz hit a low point in the winter of 2014–15. He abruptly left New York for Florida, where he owned a mansion at the Equestrian Club Estates in Wellington. Kasowitz sought alcohol treatment at the nearby Caron, a high-end rehab facility, according to two people who heard it from Kasowitz himself. According to Sitrick, that winter had been difficult for Kasowitz because of the death of his father and that he had "sought out counseling" like "millions of Americans." The spokesman did not answer directly whether Kasowitz was in rehab that winter but said he was not "at Caron in January 2015." Anyone whose job involves classified information, from White House officials to Department of State diplomats to outside contractors, must get a security clearance. The applicant fills out paperwork disclosing where he or she has lived, worked, and traveled abroad, as well as any contacts with foreign government officials. The form also asks about substance abuse, criminal history, and mental health. The government then undertakes an investigation that can take anywhere from weeks to over a year, depending on the position. In the case of White House positions, the FBI does the investigation. Agents comb through educational and financial records and speak to neighbors, former employers, and associates. They then present a recommendation to the hiring agency, which makes the final call. It&apos;s not clear who currently makes decisions on clearances for White House hires. Spokeswoman Hope Hicks told ProPublica that the Trump administration does not comment on security clearance issues. Alcohol abuse is one of many issues examined as part of the security clearance process. The standard form that those seeking clearance must fill out asks whether in the last seven years "your use of alcohol had a negative impact on your work performance, professional or personal relationships, your finances, or resulted in intervention by law enforcement." According to the official security clearance guidelines, "Alcohol-related incidents at work, such as reporting for work in an intoxicated or impaired condition, [or] drinking on the job" can be a reason to withhold clearance. 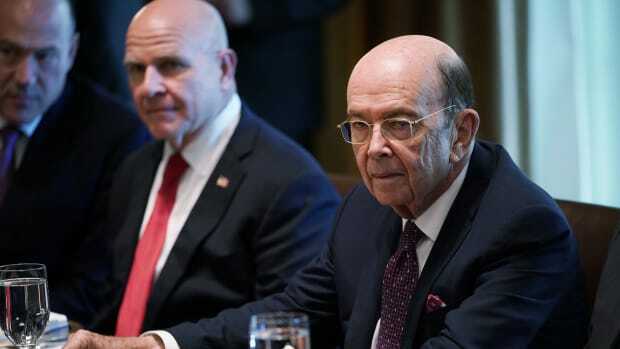 While all clearance decisions are subjective, "You probably wouldn&apos;t get your clearance if you had serious drinking problems in the last five years," said Sheldon Cohen, a longtime Washington, D.C, security clearance lawyer. The security clearance guidelines also flag personal conduct "that creates a vulnerability to exploitation, manipulation, or duress by a foreign intelligence entity." Attorneys representing clients in Washington frequently are required to seek security clearances in matters ranging from Hillary Clinton&apos;s Benghazi hearings to employment disputes involving undercover Central Intelligence Agency agents. Already, there&apos;s ample evidence that many aspects of the Russia case involve classified material. When former FBI Director James Comey testified about his interactions with Trump, he said that he took notes after one classified briefing. "I wrote that on a classified device," he said. Admiral Michael Rogers, the head of the National Security Agency, testified last month of his interactions with Trump that could relate to the obstruction of justice issue: "Those conversations were classified." In a statement, Kasowitz said that "we are unaware of and not involved in ... any investigation involving &apos;highly classified&apos; (or even classified) information." The firm has gone through multiple rounds of punishing layoffs. In the past six years, the number of lawyers has shrunk from around 370 to 260 today. Several major rainmakers have departed, including two of the most prominent women at the firm: Eleanor Alter, a well-known divorce lawyer, and Robin Cohen, who led Kasowitz&apos;s insurance group. 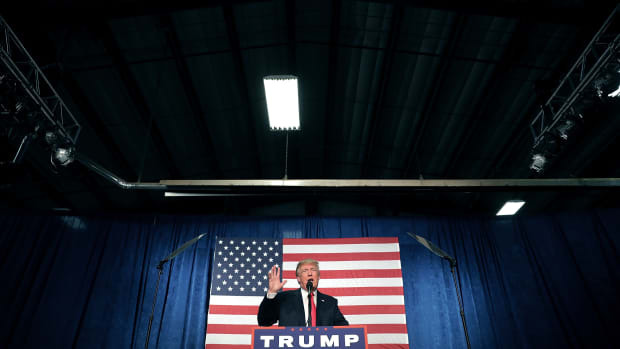 Now its founder&apos;s increasingly high-profile relationship with Trump has some partners worried that it could damage the firm&apos;s brand and future business prospects. Kasowitz;s letter to the Times dismissed the women&apos;s accounts as "false and malicious allegations" and demanded a retraction. "People were embarrassed by the letter," said one former attorney at Kasowitz&apos;s firm. In February, several lawyers were upset when Michael Cohen, the former personal injury lawyer and real-estate investor who is best known as Trump&apos;s former in-house attorney, arrived at the office. "I came to see him because we were working on several matters together after the inauguration," Cohen told ProPublica regarding his multiple visits to Kasowitz. Former employees say the firm briefly converted a conference room for Cohen to use as an office, with his nameplate on it. Cohen said the "multitude of legal matters" he and Kasowitz were discussing included working as co-counsel for a client. Asked if anything came of those talks, Cohen said yes. Sitrick, the Kasowitz spokesman, said, "Michael Cohen never worked for the firm or occupied any office at Kasowitz Benson." He added: "They were working together on one civil matter for President Trump." He didn&apos;t specify what it was. One Kasowitz Benson partner, Zachary Mazin, departed in May for another firm, McKool Smith. In a private Facebook post, Mazin praised many of his former colleagues, but said that he and his wife concluded their family could not be associated with the firm. "As the extent of the Firm&apos;s support for Trump&apos;s presidency became clear, Amanda and I concluded that we would not be living our values if I stayed," he wrote, adding: "Our most important consideration was the message that this choice sends to our daughters, both now and when they look back on this moment as adults." 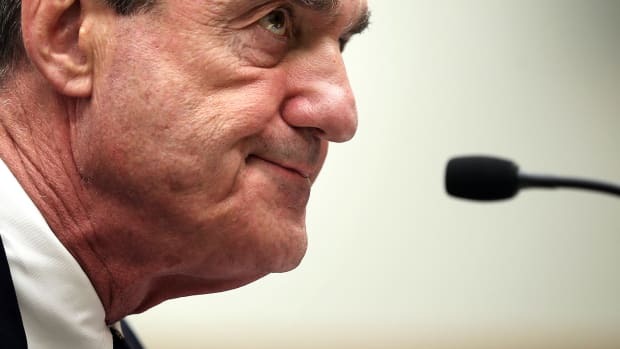 In the rush to respond to the former FBI director&apos;s testimony accusing Trump of inappropriate meddling, a team of Kasowitz lawyers, along with another spokesman, Mark Corallo, drafted a statement that was riddled with errors. It started with the widely mocked misspelling, "Predisent Trump." The day after the June 8th Comey hearing, sources linked to the Kasowitz team told reporters they would file a complaint against the former FBI director for giving what they described as "privileged information" to the press. Three weeks later, that plan fizzled entirely. "You can work toward steering this president toward the best possible decisions whether or not you agree with his politics," Kasowitz said at one such event, according to a person familiar with his remarks. In one particularly heated case, the firm sued investors on behalf of a Canadian insurer, Fairfax Financial Holdings. The company accused the hedge funds and others of conspiring to release information that would send the stock lower. Michael Bowe, Kasowitz&apos;s deputy on the Russia case, was the firm&apos;s lead lawyer. In 2006, employees of Kasowitz&apos;s in-house investigative arm, KBTF Consulting, tried to ensnare employees of Morgan Keegan, a broker-dealer whose insurance analyst was publishing critical research on Fairfax, according to a court document. They wanted to find out if Morgan Keegan gave certain clients access to its analysis before making its reports public. Kasowitz employees, including two lawyers who worked for the investigative arm, created a fake hedge fund called Blackwood Group Capital Partners. Posing as investors, the Kasowitz private investigators met with the Morgan Keegan analyst who covered Fairfax, asking if they could have advance copies of his reports. He said no. Years later, Morgan Keegan hired a Rutgers law professor, John Leubsdorf, to assess whether the Kasowitz employees violated New Jersey ethical standards. The state bars attorneys from misrepresenting themselves. Leubsdorf called the firm&apos;s conduct "inconsistent with the standards of professional responsibility." The Morgan Keegan attorneys tried to get Kasowitz&apos;s firm thrown off the case, a request the judge rejected. But the judge said he was troubled by what the Kasowitz firm had done. "I was brought up as a person and as an attorney to think you tell the truth, that that&apos;s the only way you can deal with life. You tell the truth and, right, wrong, or indifferent, the truth will prevail. I don&apos;t recall as an attorney ever participating in a deception such as [this] one," Stephan Hansbury, a judge for the Superior Court of New Jersey, said at a 2011 hearing. "I don&apos;t think that was an appropriate use of an investigator. I don&apos;t think you&apos;re supposed to go out and create evidence in order to justify a case. That&apos;s not what the law allows." 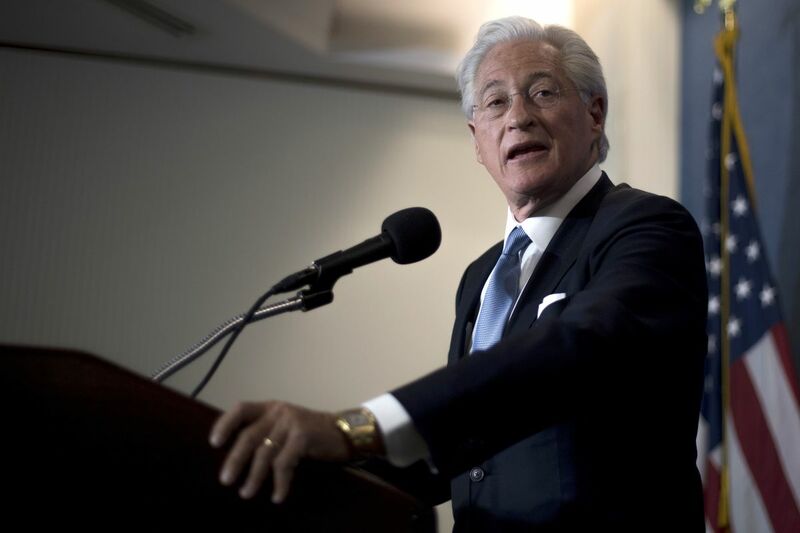 In 2007, Kasowitz had to defend his law firm from allegations of unethical conduct when another firm accused his team of violating a protective order in a legal proceeding. The order barred disclosure of bank records obtained during discovery in a federal shareholder lawsuit against Kasowitz&apos;s client, a Canadian pharmaceutical company then known as Biovail. But when Kasowitz&apos;s law firm filed a separate complaint in New Jersey state court on behalf of Biovail, it used the bank records from the federal proceeding to bolster its case. Lawyers for the bank cried foul and in February of 2007, Kasowitz had a testy conference call with Richard Owen, the U.S. district judge overseeing the federal case. Owen was furious: "You get a whole bunch of the bank&apos;s records and you&apos;re sitting there drafting a complaint in New Jersey and you&apos;re saying nobody ever said, &apos;Where the hell did we get these records from, how come we have them?&apos;" he asked Kasowitz, according to a court transcript of the call. Kasowitz said his law firm did not know about the protective order and countered that the documents were not marked "confidential." Owen did not see that as a good enough excuse and the two men went back-and-forth. Finally, Owen lost his temper. "The record may show I hung up on Mr. Kasowitz," said Owen, who has since died. Kasowitz&apos;s spokesman said the firm did nothing wrong in either case. Eventually, Biovail fired Kasowitz&apos;s legal team over the issue, only to rehire the firm a few months later. The firm was not sanctioned by Owen. How Kasowitz&apos;s aggressive style will play during the Russia inquiry is unclear—especially without a security clearance. On Monday, Trump tweeted, "James Comey leaked CLASSIFIED INFORMATION to the media. That is so illegal!" If that allegation were true, Trump&apos;s own lawyer wouldn&apos;t be able to review the material. This post originally appeared on ProPublica as "Trump&apos;s Russia Lawyer Isn&apos;t Seeking Security Clearance, and May Have Trouble Getting One" and is republished here under a Creative Commons license.